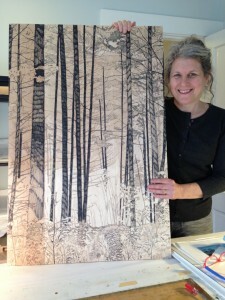 This is the website of Woodstock, Vermont printmaker, Jeanne Amato. Here you will find her wide range of original landscape prints – masterful woodcuts and solar plate etchings. Texture, pattern, color and the play of light draw you in to each of her images… Enjoy and Thank you for visiting!